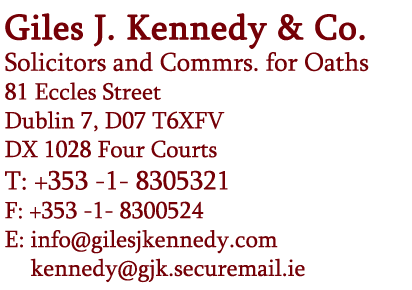 Commercial Litigation Solicitors Dublin | Giles J. Kennedy & Co.
Giles J. Kennedy & Co. have advised clients in Commercial Litigation matters for over 30 years. We continue today to be one of the leading Dublin firms in the area of Commercial Litigation and represent a range of clients from SME’s to large international companies. Many of our clients include prestigious multi-national companies, large international insurance bodies, and property developers. We do not consider any case too small nor too large and are proud of our name and achievements in the commercial sphere. Our Solicitors working in the Commercial Litigation Department regularly appear in the Commercial Court and at Arbitration and Mediation Hearings on behalf of our client. 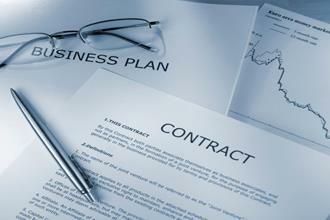 We offer practical advice to our clients to safeguard your business and negotiate the minefield of legislation applicable to Companies and Businesses in Ireland.